The necessity of Aaadhar after the Supreme Court judgment upholding its validity by 4:1 majority is for availing government subsidies and benefits, and for filing income tax returns. 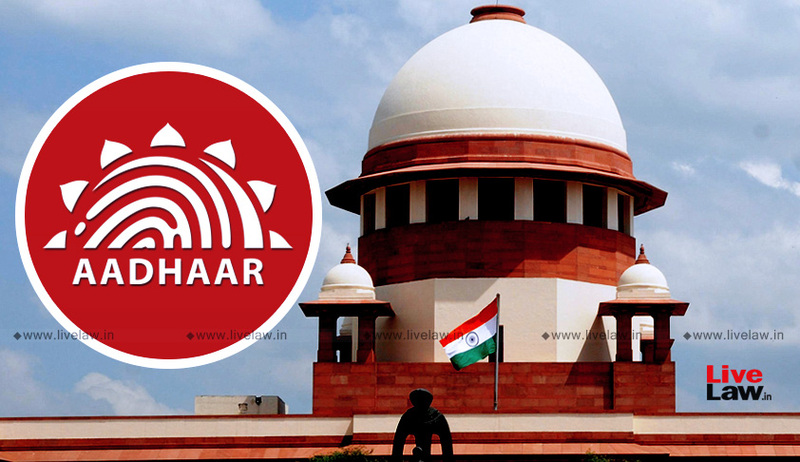 The majority judgment of Justice Sikri(for himself, CJI Misra and Justice Khanwilkar) and Justice Ashok Bhushan upheld the validity of Section 7 of the Aadhaar Act, which held that Government can insist on identity authentication by Aadhar for grant of subsidies and benefits, which are charged from the Consolidated Fund of India. The majority judgment held that ‘Benefits’ and ‘services’ as mentioned in Section 7 should be those which have the colour of some kind of subsidies etc., namely, welfare schemes of the Government whereby Government is doling out such benefits which are targeted at a particular deprived class. It would cover only those benefits and services of which the expenditure is drawn from the Consolidated Fund of India. The Court also added that the scope of subsidies, services and benefits should not be be unduly expanded, by including those services and benefits which will not come under Section 7. The validity of Section 139AA of the Income Tax Act which mandates linking of Aadhaar with PAN was upheld in Binoy Viswom v.Union of India by a bench of Justice Sikri and Justice Ashok Bhushan in July 2017. However, the bench had left open the issue whether the provision infringed right to privacy, in the light of the then pending decision in Puttuswamy case. The present Constitution Bench examined the provision in the light of right to privacy declared as per Puttuswamy judgment. The Court held that tests of permissible limits for invasion of privacy, namely: (i) the existence of a law; (ii) a ‘legitimate State interest’; and (iii) such law should pass the ‘test of proportionality’, were satisfied in case of Section 139AA. So, Aadhaar-PAN linkage is mandatory. The lone dissenting judgment of Justice Chandrachud struck down Section 139AA. The majority ruled that CBSE, NEET, JEE, UGC etc cannot make Aadhaar compulsory for school admission, exam registration etc., as such services are not within the scope of Section 7. Requirement of Aadhaar would not be compulsory for school education as it is neither a service nor subsidy. Further, a child between the age of 6 to 14 years has the fundamental right to education under Article 21A of the Constitution, which cannot be denied for want of Aadhar. The majority clarified that no child shall be denied benefit of any of the welfare schemes for want of Aadhaar and the benefit shall be given by verifying the identity on the basis of any other documents.Benefits to children between 6 to 14 years under Sarv Shiksha Abhiyan, and similar schemes, shall not require mandatory Aadhaar enrolment. For availing the benefits of other welfare schemes which are covered by Section 7 of the Aadhaar Act, though enrolment number can be insisted, it would be subject to the consent of the parents. On attaining the age of majority, such children who are enrolled under Aadhaar with the consent of their parents, shall be given the option to exit from the Aadhaar project if they so choose in case they do not intend to avail the benefits of the scheme. Bank Accounts Cannot Be Compelled To Be Linked With Aadhaar. The majority struck down Rule 9 of the Prevention of Money Laundering(Maintenance of Records) Rules, 2005, which insisted that bank accounts should be linked with Aadhaar. It was held that the provision did not meet the test of proportionality and, therefore, violated the right to privacy of a person which extends to banking details. "This linking is made compulsory not only for opening a new bank account but even for existing bank accounts with a stipulation that if the same is not done then the account would be deactivated, with the result that the holder of the account would not be entitled to operate the bank account till the time seeding of the bank account with Aadhaar is done. This amounts to depriving a person of his property", observed the judgment of Justice Sikri. Circular dated March 23, 2017 issued by the Department of Telecommunications mandating linking of mobile number with Aadhaar was held to be illegal and unconstitutional. The Court held that the circular was not backed by any law and quashed it.